Possibility to spend the night at Guadalajara airport (GDL), if open 24 hours. Services available, places to rest (free resting zones), or look for the list of nearby hotels and vip lounges..
Guadalajara airport is open 24 hours a day, which means that layover passengers can wait for their flight inside the enclosure. The place is infested with mosquitoes, so make sure to bring a good repellent. Where to rest: The terminals do not offer many resting possibilities, but you can find a few comfortable couches near gate C. Another option (by paying or with a credit card that provides the service) is to enter one of the VIP lounges, where you can access more amenities and privacy, although they close at night. 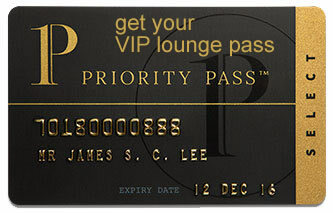 SEE VIP LOUNGES There are a few hotels in the vicinity that offer shuttle services if you book in advance. Eating and drinking: A few of the eateries in concourse A remain open 24 hours a day. Other services available around the clock: ATMs, currency exchange bureaus. Some accommodations in the surroundings run shuttle services to and from the airport. Most of them are found in the city centre. Hotel Casa Grande Aeropuerto (Tel +52 333 678 9000), Hampton Inn by Hilton Guadalajara - Aeropuerto (Tel +52 333 164 1800), City Express Junior Guadalajara Periférico Sur (Tel +52 333 668 5630), Holiday Inn Express Guadalajara Aeropuerto (Tel +52 333 001 5900), Hangar Inn (Tel +52 333 330 8264), Motel Viena (Tel +52 333 688 5215), Motel Real Aeropuerto (Tel +52 331 923 0115), Motel Quinta Florida (Tel +52 333 695 1225), City Express Guadalajara Aeropuerto (Tel +52 338 000 0760), Motel Coral (Tel +52 333 689 5778).